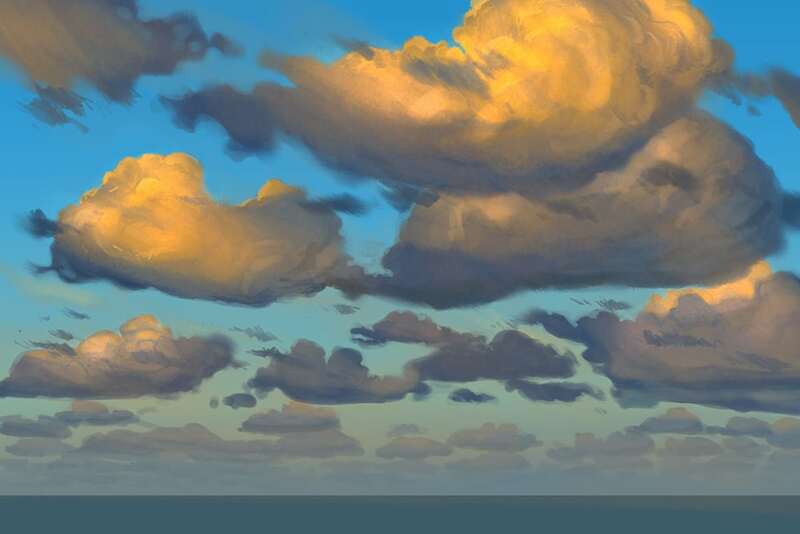 This bundle includes two video lessons in which Aaron teaches you how to paint clouds and water. The fundamental and lessons covered are perfect for any painter whether you work digitally or traditionally. In this 1 hour and 5 minute tutorial Aaron Blaise will take you through the thinking and processes of how to paint water. In this first of a series, Aaron will focus on turbulent wavy water. 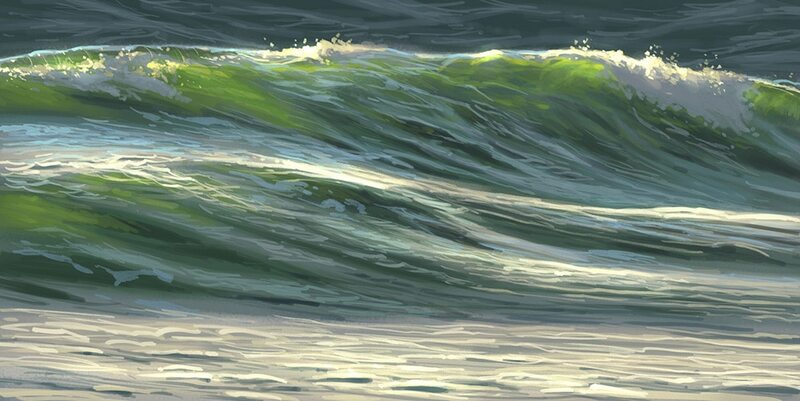 Learn the thinking behind reflections and how they work and how light plays on the surface of rough water. Runtime: 1 Hour, 21 min.